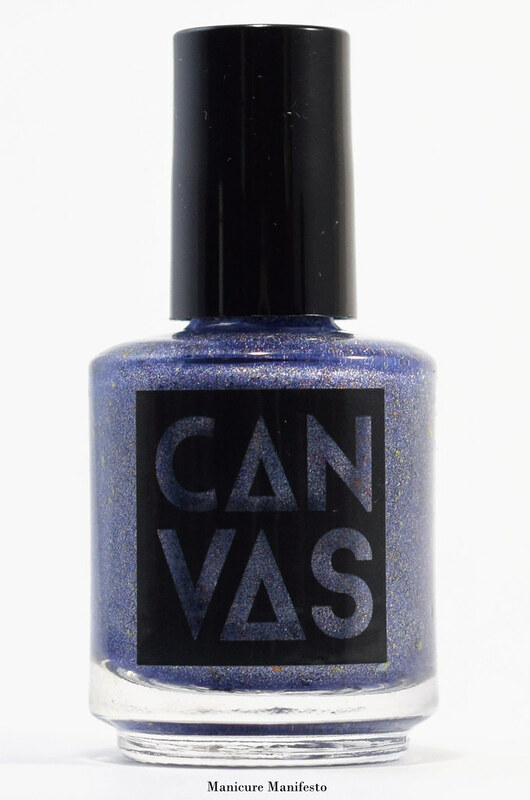 Today I have one of the shades I bought from CANVAS Lacquer at Indie Expo Canada. I'd been drooling over it on their website for a while and was so happy that it hadn't sold out before IEC so I could throw my money at them in person. Let's take a look at swatches. 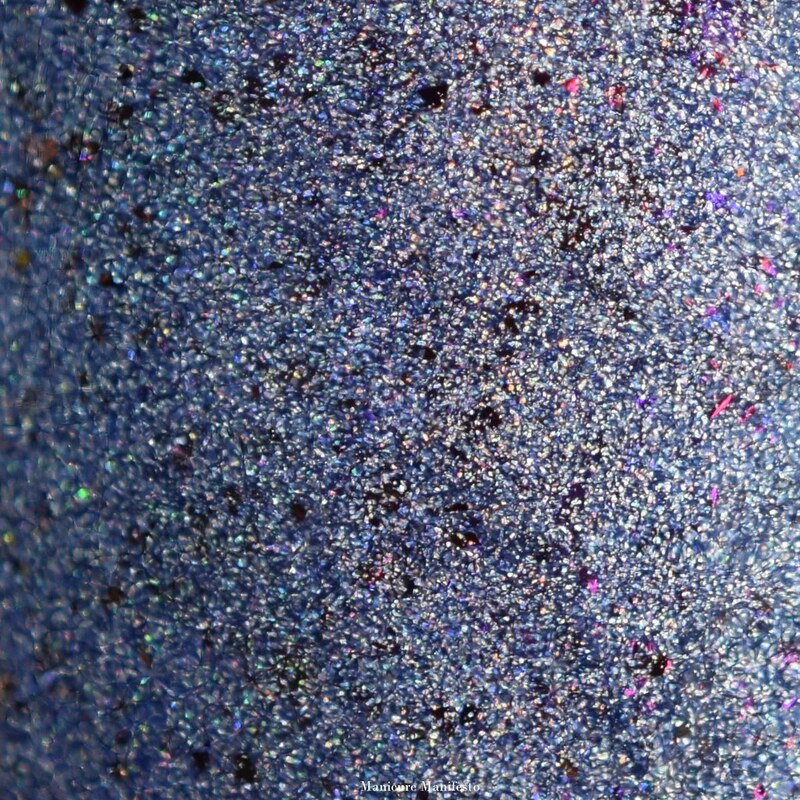 Moonrock features a steely blue jelly base with a variety of small metallic flakies (I can see some fuchsia, bronze and indigo in there) and a flecked scatter holo shimmer. The formula is a bit sheer on the first coat but layers up nicely in three. I didn't have issues with the consistency of the polish during application. This one dries not-quite-shiny so I would recommend using your favorite glossy top coat. 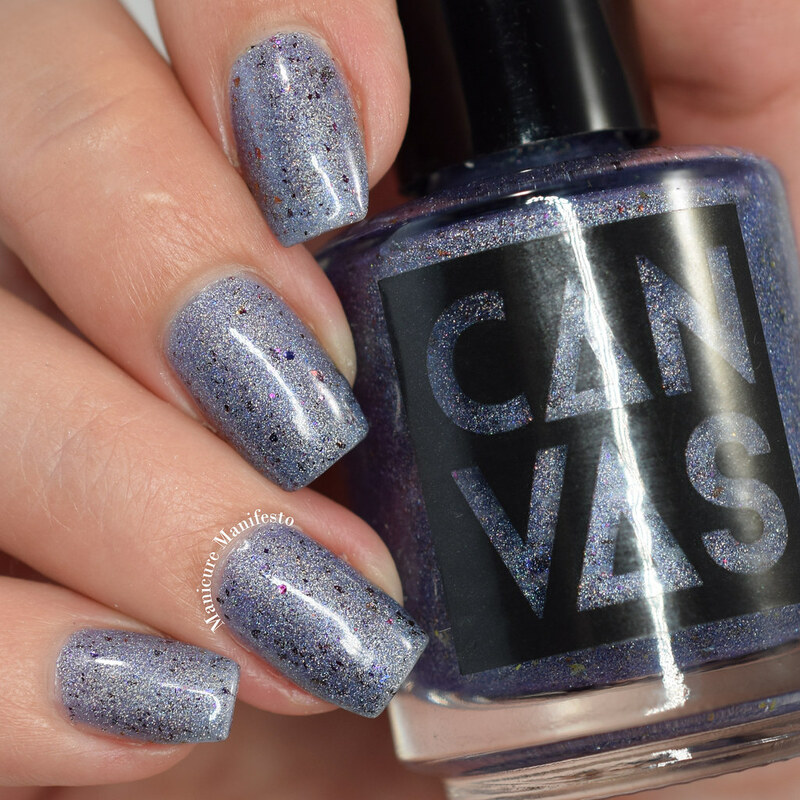 Photos show three coats of Moonrock with one coat of Girly Bits What A Rush top coat in daylight spectrum lighting.